An apparent drive-by shooting overnight Thursday shattered a West Memphis home and shook up West Junior High. A popular 16-year-old student- athlete, Taylon Vail, died in a hail of gunfire at 2 a.m. inside his grandmother’s house at 2000 E. Harrison. By morning rumors abounded creating confusion at his school as word spread via social media that the shooting had happened at the school. School officials said Vail was a good kid with no negative police contacts and was by all accounts well-liked. The Blue Imp basketball player was a victim of being in the wrong place at the wrong time. West Memphis Assistant Chief of Police Robert Langstion provided a narrative of the shooting. “He did not live there. It was his grandmother’s house,” said Langston. 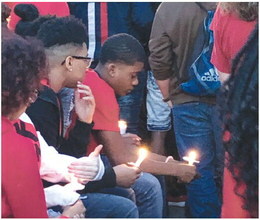 By the morning school bell, news of the slain classmate sent shockwaves through two local schools. 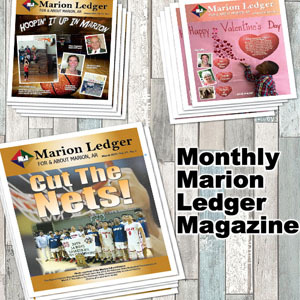 Over the weekend, Langston said dedicated detectives remained on the case around the clock investigating the shooting. “They are still here now working on leads,” said Langston. Vail was on the frontroom couch according to authorities. Langston hypothesized a motive as investigators pieced evidence together looking for clues. “He was playing video games and the shots did come from outside the house,” said Langston. “He was not usually there. He was not a person that got into any conflicts. Grieving students at West and Wonder received support from local ministers called in by police. 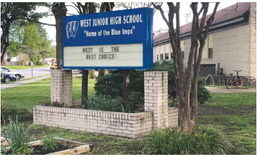 Mayor Marco McClendon consoled the students that remained in school at West Junior High. Reserve officer and West Memphis First Baptist Children’s director Billy Beech ministered at the shooting scene overnight. Nonetheless, rumors spread that the shooting was at school causing many frantic parents to run back to school, concerned for their children. “West put out a post, and the only thing that I can think of was someone misread what was on social media and it led to mass hysteria,” said Langston. “We put something out into social media as quickly as possible, but it had caught like wildfire before we could do anything about it. Once that happened, we had extra officers at the school to help out.